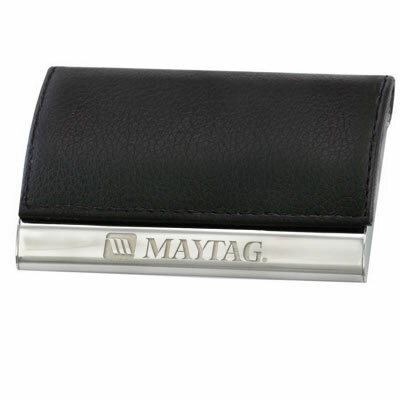 Elegant curved metal SHINY and leatherette magnetic business card holder. Elegant curved metal SHINY and leatherette magnetic business card holder. Sleek in design. This cardholder or card case is great for printing, holds 22 cards . size 4"x 2 1/2". Imprint area 3" W x 1/2" H.
Carton Size: 15" x 12" x 14"